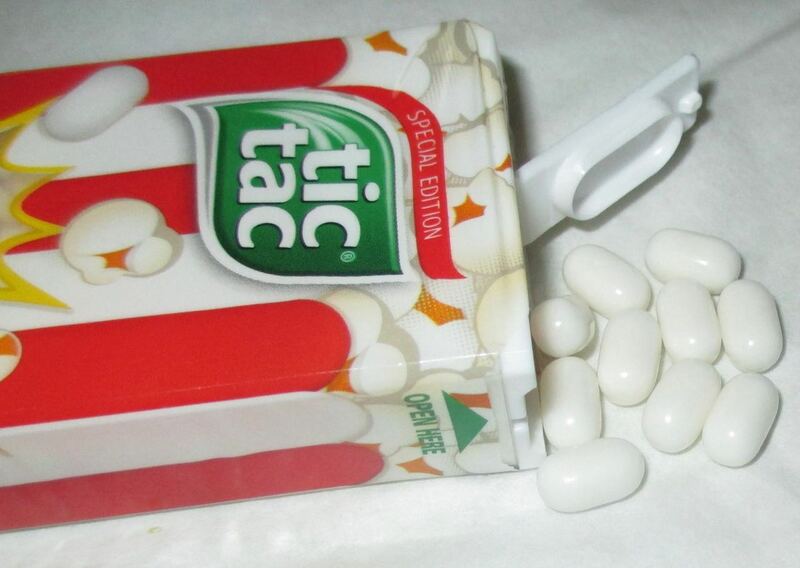 This summer the Special Edition Tic Tac flavour is Popcorn! Although we have seen a few interesting flavours over the years, they do have a tendency to be fruity when it comes to Tic Tacs so this is quite a jump. The packet is smartly wrapped too, with its red and white stripes to look like a cinema pack of popcorn, the sweets however are plain white. I only note this as the re-released banana Minions Tic Tac have cute little Minion designs on them! The flavour of the Tic Tac is initially quite strange, not bad I hasten to add, I just had difficulty processing the taste with the idea of it being a Tic Tac. The problem I think arises from the fact that it tasted like popcorn but felt hard and was the same size and texture as an unpopped kernel. My initial reaction to it was that it felt like I’d accidentally tried to eat a hard bit of popcorn, and it took a second for me to process that this was just a sweet with the same feel and flavour. 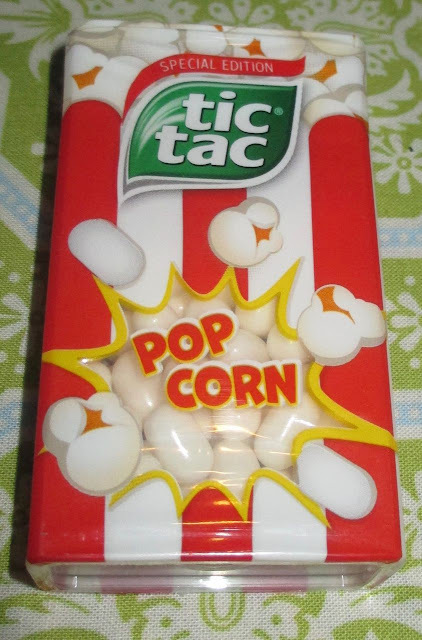 This is actually testimony to the fact the flavour is really good, it does taste a lot like sweet popcorn. They have a very good flavour, they are creamy and recreate the taste authentically. These may not be refreshing in the way that most Tic Tac sweets taste, but they are fun and do the job well. These are nice to try and a good innovative flavour too that will undoubtedly amuse the folks at work. I’m just not sure anyone will be writing a petition to get the flavour to become a permanent addition to the range.